Disability campaigners laid siege to Atos assessment centres up and down the country today, in a bid to increase public pressure on the government to end what many see as a war against disabled people. Union activists, Disabled People Against Cuts and Black Triangle targeted 144 assessment centres where people are told whether they are able to work and if they are still entitled to benefits. Over 40 per cent of cases where people have been deemed fit to work have had their appeals upheld. However the appeals process can take months or even years while some of the most vulnerable disabled are plunged into poverty. Many campaigners are eager to see people with disabilities genuinely helped back into work, if they are able to. But they say the onus doesn’t just lie with the individual. 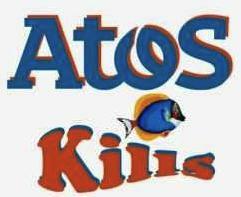 Bob Williams-Findlay, a university equality training officer, said: ‘The system used by Atos only measures certain aspects of someone’s capability to work. Some people with disabilities like me can work but only when a good employer addresses their needs. Another union backing the campaign against Atos today, the PCS, would be a major union in representing workers assessing disabled people if the service was brought back in-house. Today marks an important escalation in the campaign and through social media, rather than the mass media, this injustice being heaped on the disabled and sick will not go unnoticed. Posted in: Benefits, Civil Liberties, Conservatives, Disability, Politics, Poverty/Low Pay, Social Affairs.